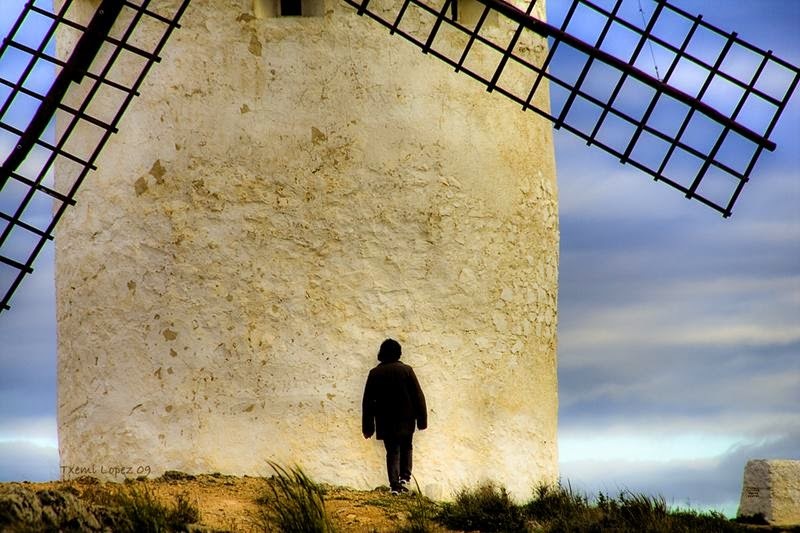 The first windmill appeared more in the 11th century, although in Castile-La Mancha it was not before the 16th century. Once these lands stood about 32 mills in the region now total 10 mills. 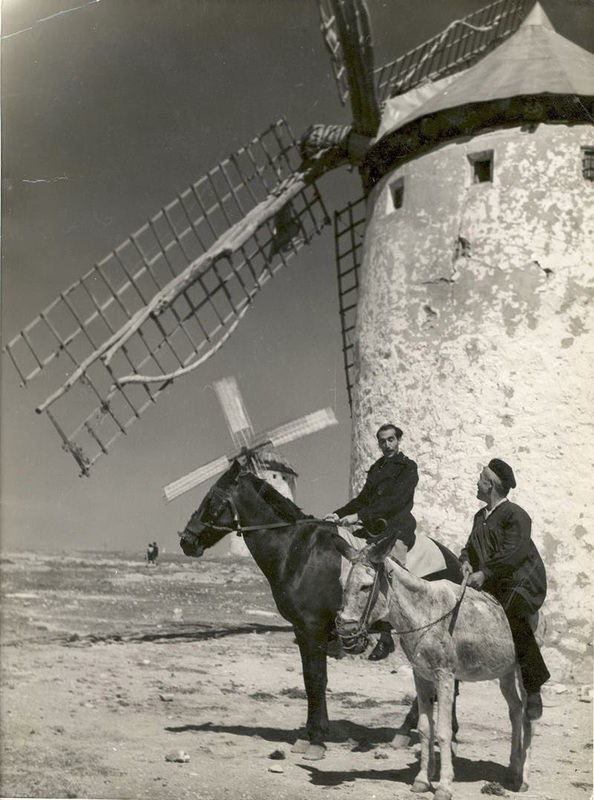 Today, only three mills date back to the 16th century (Burleto, Infante and Sardinero). The rest were built in the 20th century. Typical manchegskie mill-This whitewashed building with one door and small square window. They were built of wood. 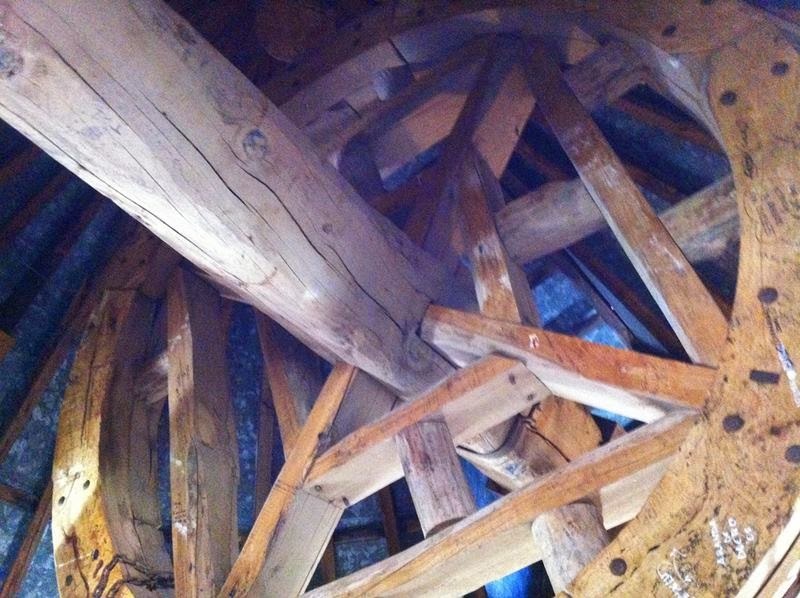 Upstairs are the spider that spun by the wind and driven by a toothed gear. Gear mechanism in turn moved the circular stone, located on the second in the same stone. Between these two stones were wheat, which result milled. 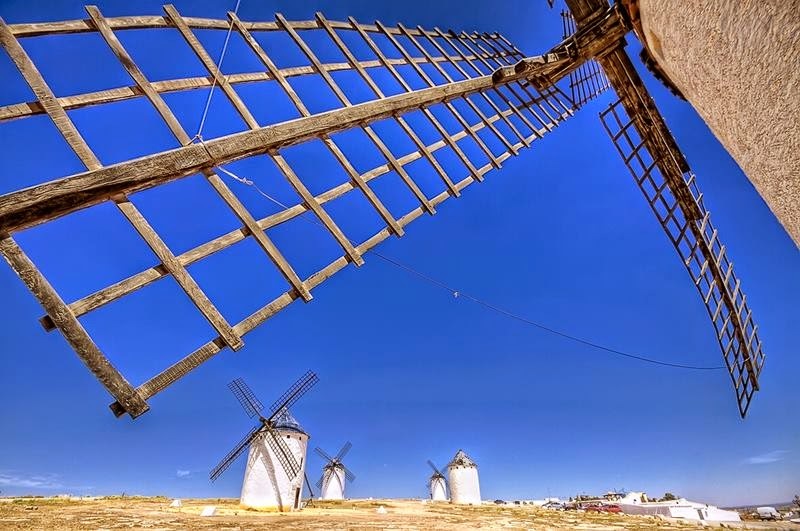 Thus, in particular, has the crosspieces Burleto mill diameter of six meters and with twelve windows, as it is believed that in this area the twelve winds blowing. The interior consists of three levels. Serve as the bottom two barns, and trills level is the threshing mechanism, which is still working. 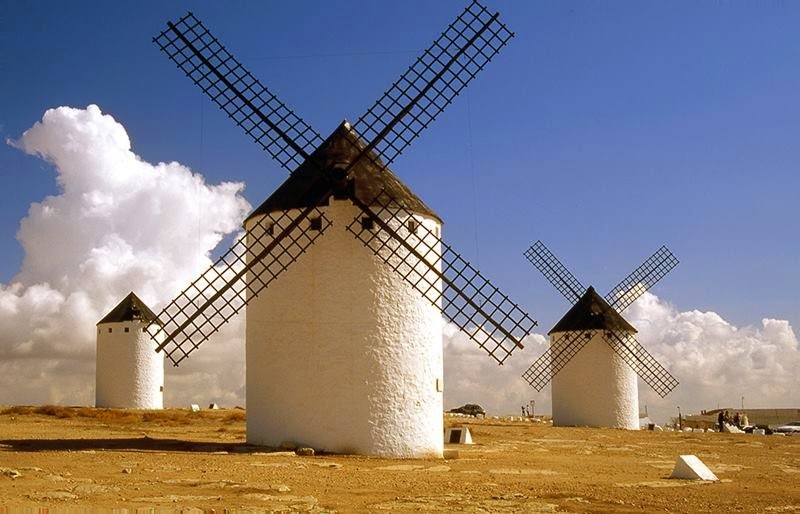 The windmills are attractive round white windmills with black roofs and sails and sit in a line of 11 along the top of a hill. There were 13 originally and 11 of them remain. 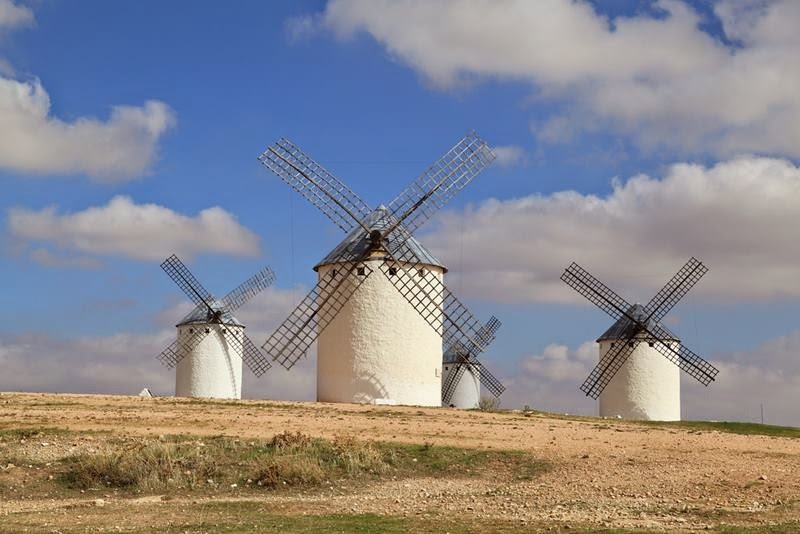 Each of the windmills has its own name. 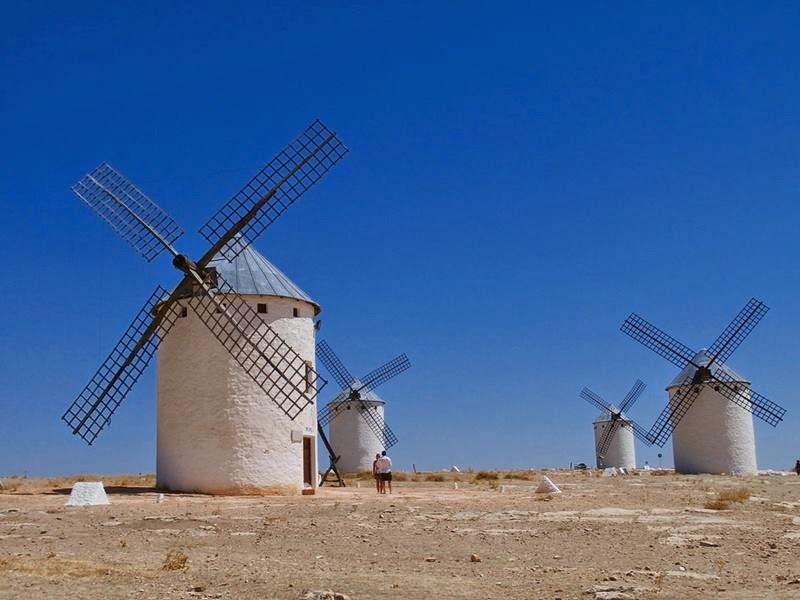 The windmills stopped being used for grinding grain in the 1980s though one is now used as an ice-cream shop - a welcome place to cool down from the high summer temperatures experienced in Castilla La Mancha. 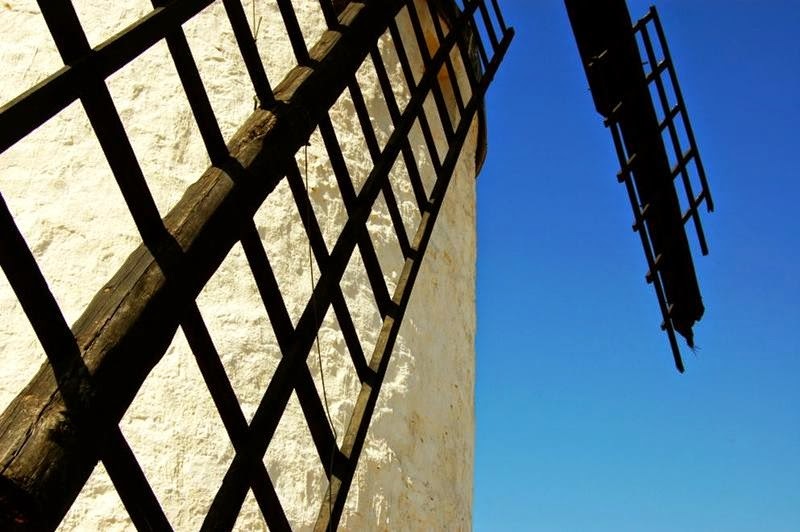 The tourist office is housed inside one of the windmills giving you a chance to step inside. 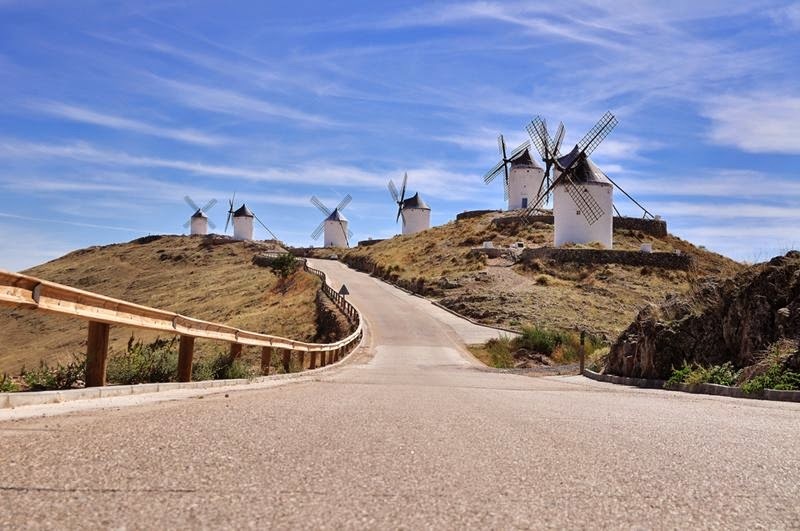 The windmills and the surrounding planes and views over Consuegra below are highly photogenic. 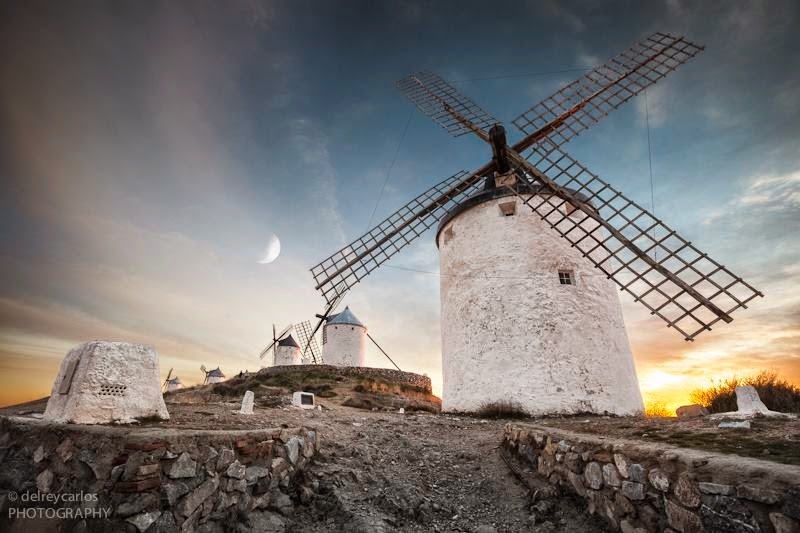 The fields around Consuegra turn purple in the autumn as the saffron crocuses bloom and one of the windmills (the one called Sancho) is set in motion each year for the celebration's of the harvest of the saffron crop. The celebrations take place on the last weekend of October. 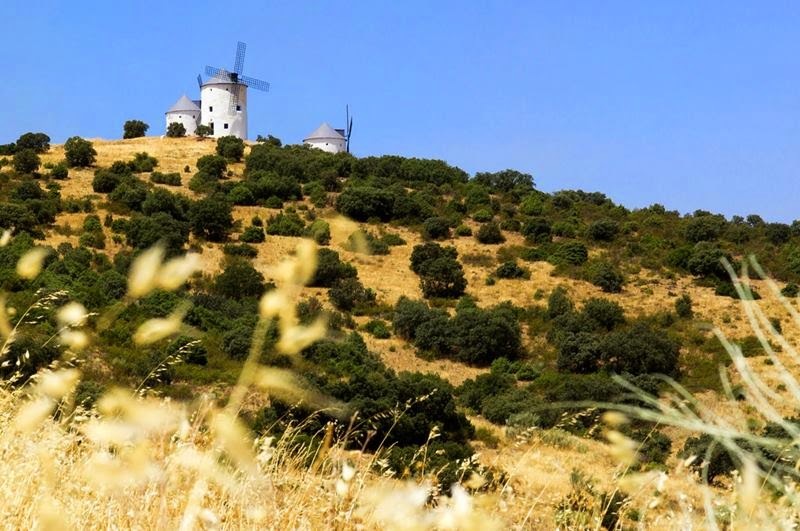 Also on the ridge overlooking the town is a ruined castle of 10th century Moorish origin and from here you get great views over the surrounding plains and the windmills.